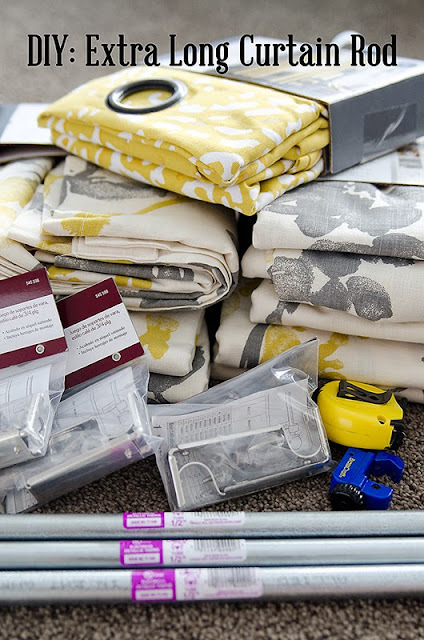 I have 3 huge windows in our living room that have needed curtains for a long time, but I couldn’t find a curtain rod big enough to go all the way across them all! My friend Meghan made her own curtain rod and told me it was easy, so I tried my own! 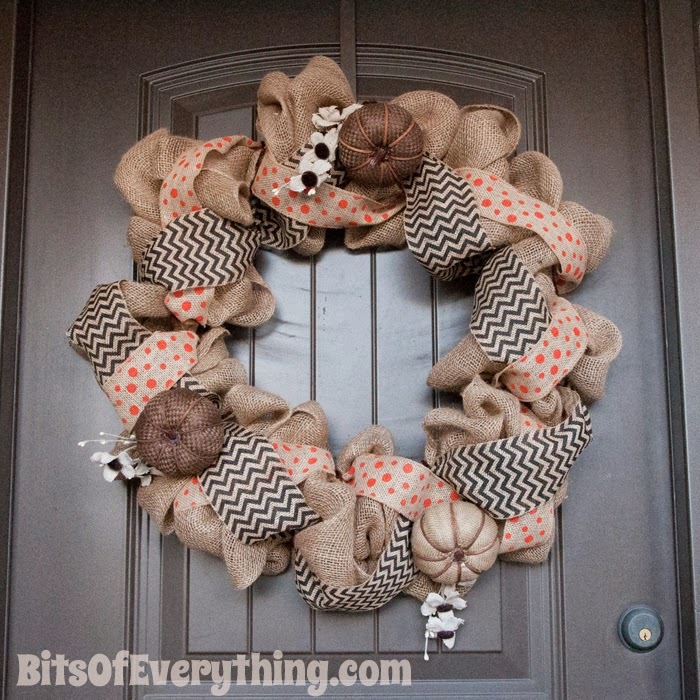 Are you ready for a Burlap Wreath Tutorial? I’ve had this wreath on my door for a week or two now and I’ve had several ask for the details. Here they are…. 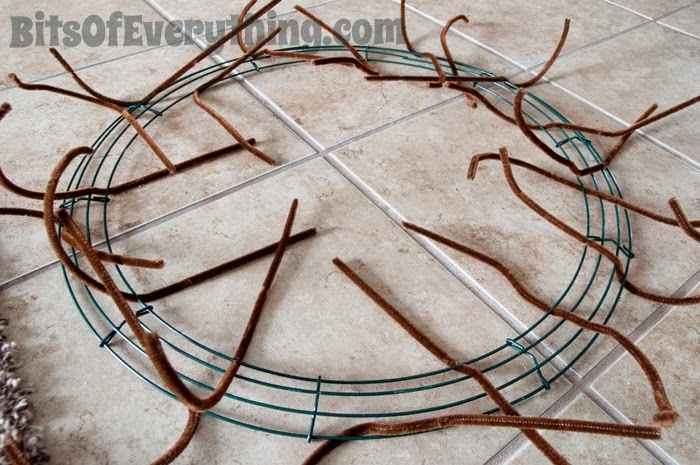 Spread your pipe cleaners around your wire form. (It was difficult to keep them in place. You could just add them as you go too.) 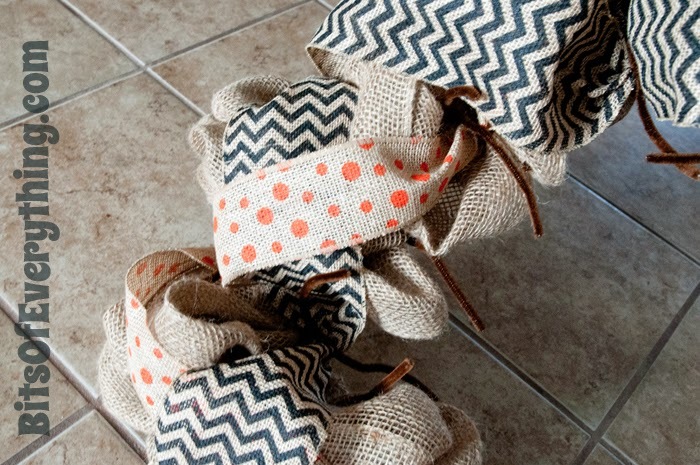 The pipe cleaners are what makes this so easy! No tucking or looping. Just twist and go. Be sure to alternate tying to the inside wire, then the outside wire, then the inside wire, etc…. 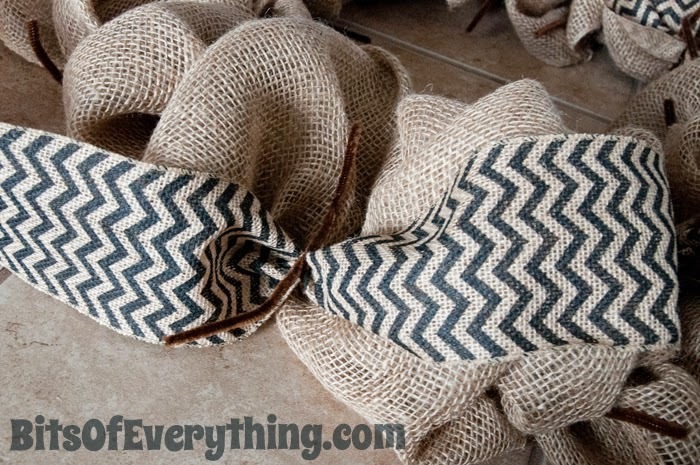 To attach your burlap, just twist it into a pipe cleaner. No glue, no knots, just twist it in. 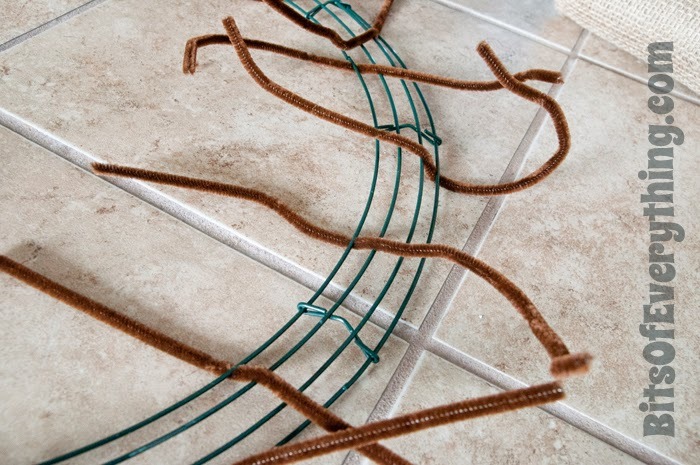 Be sure to leave the ends of your pipe cleaners sticking out because we are going to use them some more. 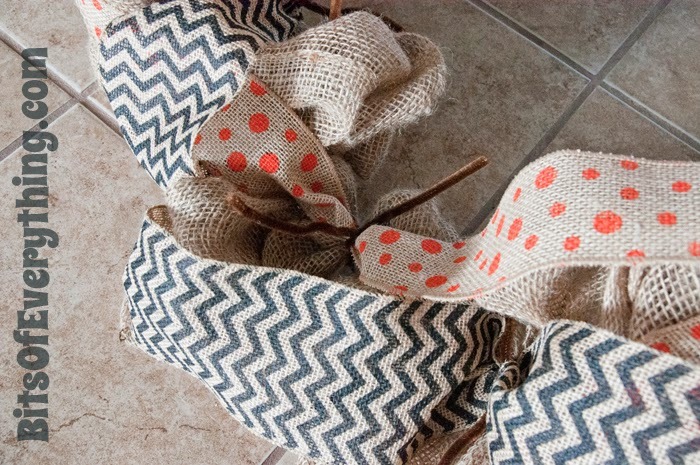 Bunch up some burlap and tie it into the next pipe cleaner. 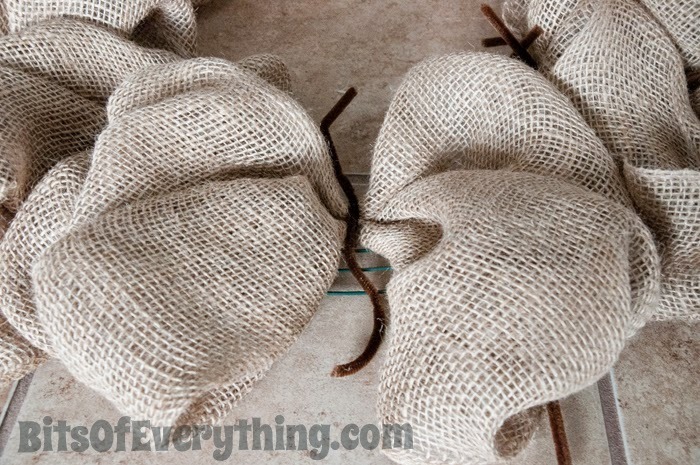 You can make it smaller or fuller depending on how much burlap you bunch into each section. Once you’ve made it all around, it time to all the ribbon. 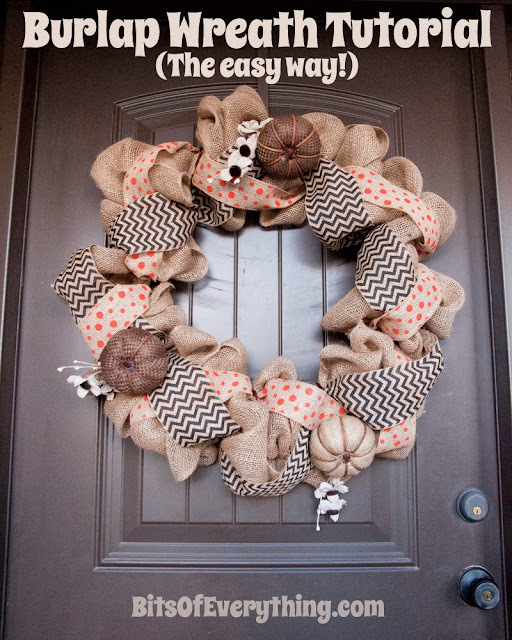 Using the same pipe cleaners that are already in your wreath, tie in the ribbon. I tied mine in about every 4 pipe cleaners, alternating tying to an inside wire, then an outside wire. Add the second ribbon. 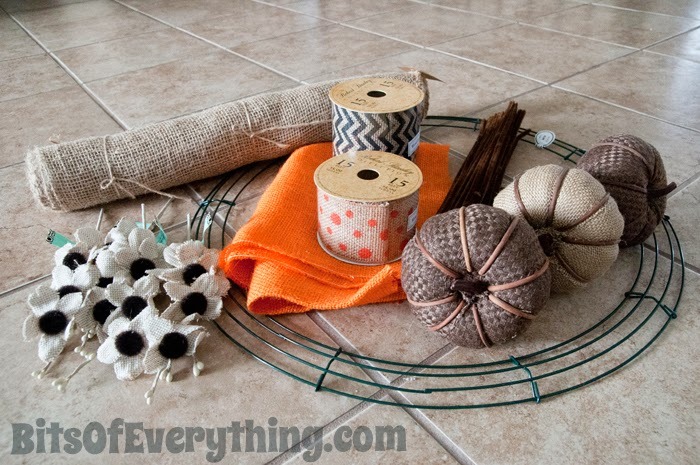 Use different pipe cleaners that you used for the first ribbon. I wove my two ribbon under and over of each other. Add your accessories. 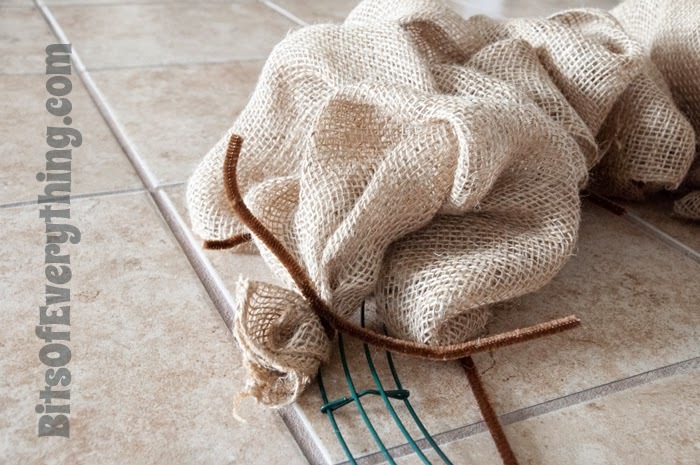 I didn’t use my orange burlap, but I might add it later. Be sure to tuck in all the ends of your pipe cleaners now. Didn’t it turn out cute? I love it. It was easier to make than I thought it would be. My 13 year old daughter helped me, but I’m pretty sure she could have done it on her own. It’s that easy!